Chhath 2018 Date: In this post, we are going to tell about Chhath Puja 2018. Chhath Puja is celebrated especially with great gesture in Bihar. Nowadays, in different parts of the country where the people of the northeast have settled down, even then Chhath Pooja is started. Nowadays, people have started to worship Chhath in Delhi and Mumbai and during this time there is a huge crowd on the ghats. So you might be thinking that when chhath puja will start this year? in which date chhath puja is going to be? When is nahaay khaay that is the first day of chhath puja? Below we are giving detailed information about all these. The date of the Nahaay khaay 2018 of the Chhath festival is November 11, the day is Sunday and the called Chaturthi. On the day of Chhath fasting, the entire rule will start from the religion of Chhath Puja. This is the first day of the Chhath Puja calendar, on which day the food is eaten. Lohanda / kharna 2018 will be celebrated on the 12th of November, Monday. This is the fifth day that called panchami. Those who keep the fast on this day worshiping the rice in sugarcane juice or by making rice in milk and eating rice and chapati roti as prasad. 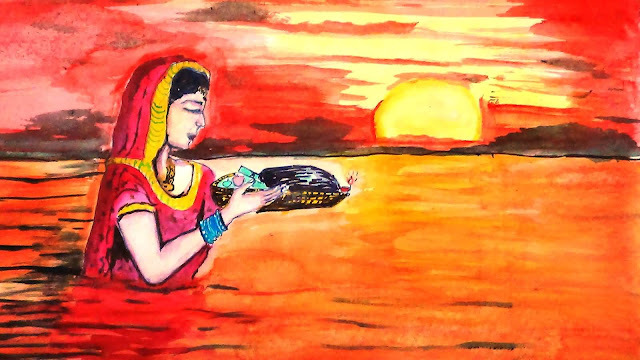 This is the second day of Chhath Puja Calendar, on the day Lokhnda and kharna is done. The first Ardhya will be given in the evening on Tuesday, November 13, this day is the date of the festival. This day is also called Sun Sashthi. On this day, those who fast on the day do not eat anything in the morning and in the evening, after going to the water (pond, canal, river, etc. ), with the fruits of two types of Dalya and soup, trekua, rice laddoo, sugar candy etc. Standing in the water gives the sun to sunburning. This is the third day of the Chhath festival. Usha Arsh of the Chhath festival In 2018 will be on Wednesday morning on November 14. This day is Saptami. This is the last day of fasting when the people of the vicinity stand in the cold water of the river or pond from the morning, and give the sun to the rising sun. From the beginning of the Arghya till Usha Arghya, vratis remain hungry. Chhath Vrati Complete there fast on the fourth day. And perform fast by exchanging prsaad in each other's house.